At Affordable Party Lighting, we know that quality illumination can be the difference between a beautiful event and an unforgettable one. Lighting is a crucial investment; your choice of light arrangements affects not only visibility, but also energy costs, sustainability and electrical safety. 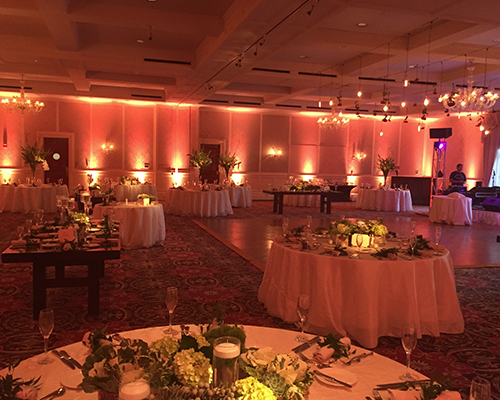 As a SE Michigan-based lighting company, Affordable Party Lighting offers advanced, energy-efficient illumination for a wide range of events. We are committed to providing maximum beauty and visibility at an affordable cost, creating an experience that you and your guests will never forget. 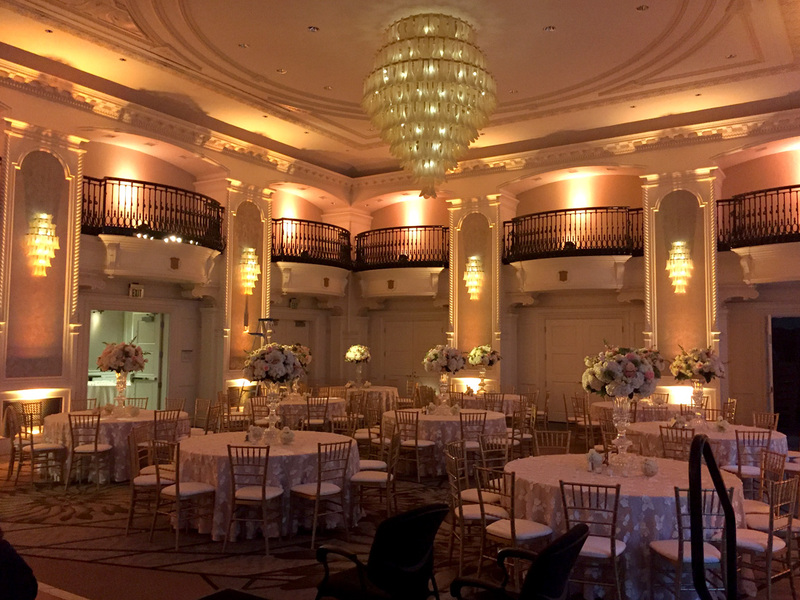 Serving the Detroit area for more than two decades, Affordable Party Lighting knows exactly what it takes to illuminate this area. We have a keen sense of local sun exposure and architecture, and know how to complement natural lighting. Our team has worked with Michigan residents of all cultures and backgrounds, and has provided lighting for countless different ceremonies. Whatever your lighting needs, we have experience providing it. Our goal is to make our clients proud to work with us and trust that our lighting will be good for both the environment and their wallets. 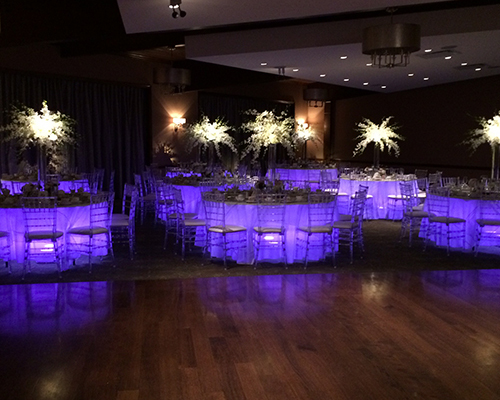 In addition to serving many different cultures and ceremonies, we also invest in the latest lighting technology. This allows us to offer you a broad array of color and performance options while saving energy, improving safety and lowering your out-of-pocket expense! Wedding Lighting - Affordable Party Lighting is not limited to formal ceremonies, and will happily light up events in any location and for any occasion. 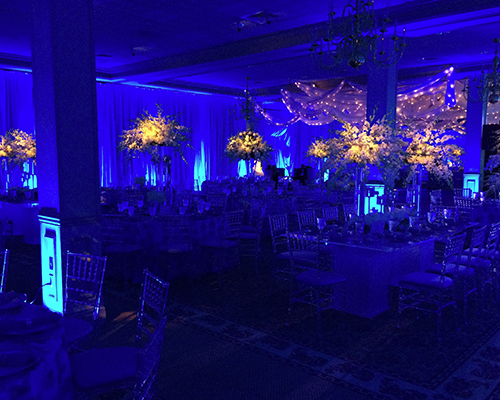 Whether your reception is at your home, backyard, or your favorite venue, we are happy to brighten up any room! 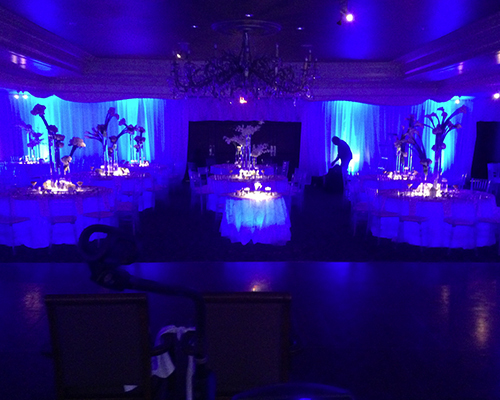 Bar/Bat Mitzvah Lighting - Make your child’s coming-of-age truly memorable with our creative lighting arrangements. We are happy to illuminate this special reception in celebration, making the entire day as bright and beautiful as your child! 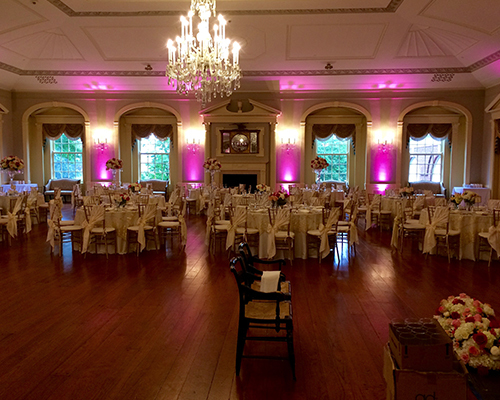 Special Events Lighting - Whether you’re getting married, having a party or organizing a special promotion at work, our lighting will add clarity and liveliness. 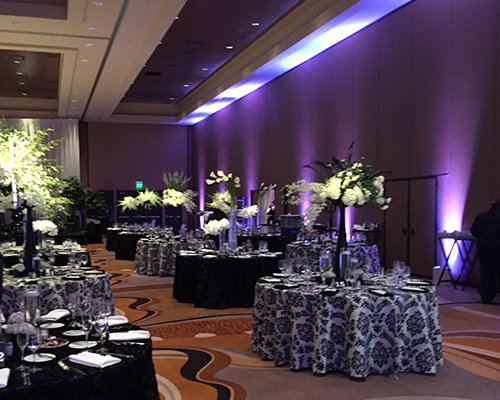 In addition to ensuring that the event is fully visible, we can also set the mood, providing colors and designs to match your style. 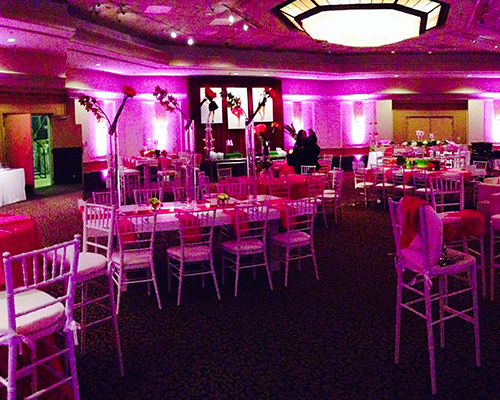 At Affordable Party Lighting, we are committed to providing quality service for all events and purposes. No matter why you need illumination, we are happy to accommodate you! 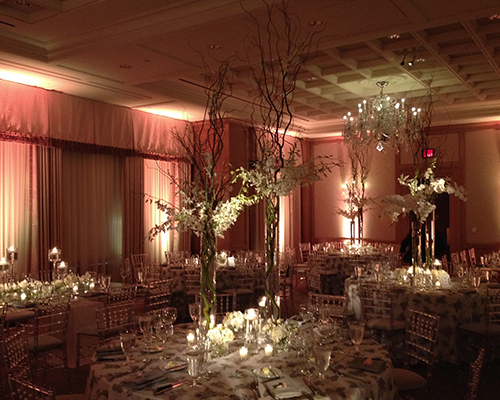 This technique projects light from beneath your tables, making the event seem naturally luminescent. Not only does this produce a beautiful, enchanting effect, but it also makes sure that every inhabited corner of the party is sufficiently bright. 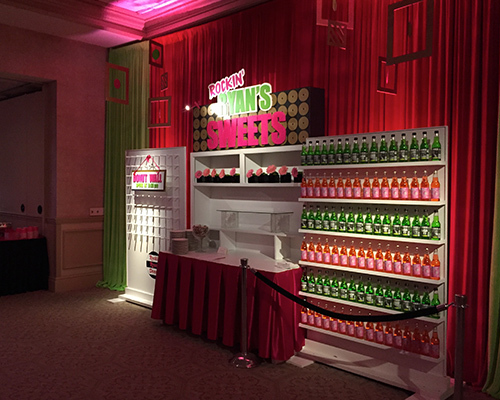 Designed to flood each wall with a stark, bright color, this option is ideal for creating a particular mood at your event. Don’t let your unique pieces go unnoticed! 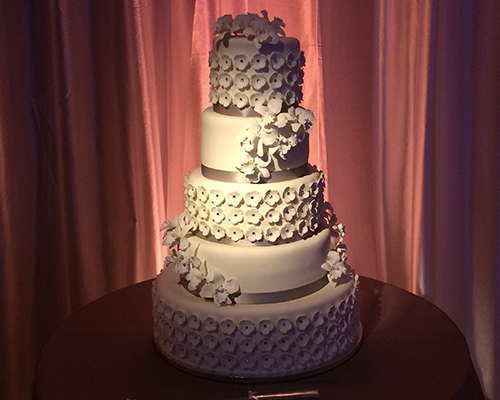 This type of lighting is suited for wedding cakes and other items that need that extra pop. Available in an array of colors and intensity levels, upwash lighting separates light into columns, tying the room together and creating a powerful tone. 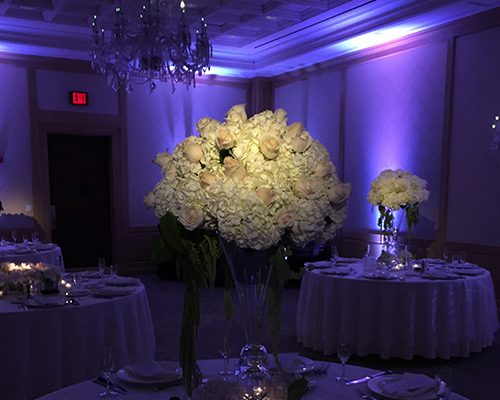 In addition to our standard options, we also offer customized lighting for special events, allowing you to choose the intensity, color and arrangement of the lighting. No matter how elaborate or unique the theme is, we will use our style and experience to create the perfect look for your event! Don’t miss a chance to make your next event truly brilliant. 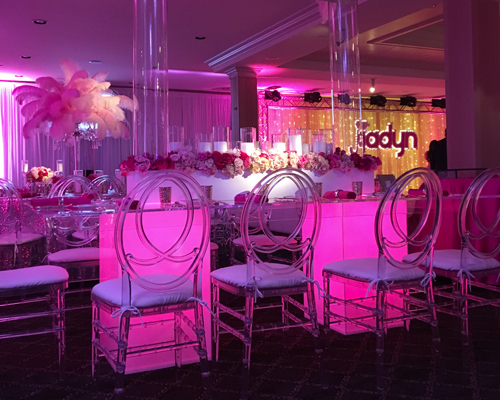 For more information on special events lighting in any design you choose, call Affordable Party Lighting today at (248) 318-9862.